Not all fats are bad for you. 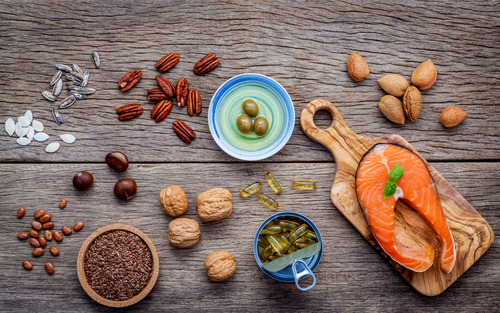 There are kinds of fats that are actually helpful when it comes to sustaining one’s health. Of course, if the priority is health and wellness, you need to know what types of fats are good and which ones are not. Basically, there are many types of fat. Your body creates its own fat, which it gets from extra calories. Fats found in foods that come from animals and plants are called dietary fat. It’s a macronutrient that delivers energy to the body. Fat is vital for the body’s sustenance since it helps you hold up some of your body’s functions. For example, some vitamins require fat in order to be disintegrated and ultimately be utilized by the body. However, fat also oozes with calories. The more calories you consume, the heavier you’ll be. Being overweight means you’re likely to get sick because weighing more than normal is unhealthy. Plus, some kinds of dietary fat are believed to contribute in the development of cardiovascular problems. 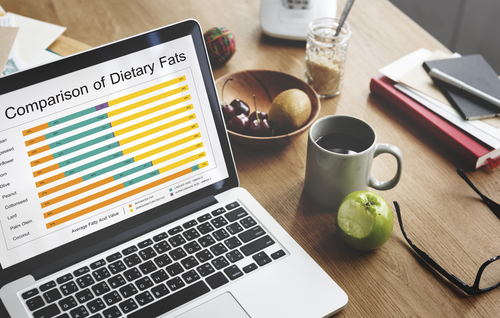 Thanks to numerous researches, we’re now equipped with knowledge of which dietary fat we should stick with and which ones we should avoid or consume in moderation for the sake of our health’s sustenance. There are two primary forms of dietary fat that are potentially bad for your health: saturated fat and trans fat. The former is a kind of fat that can be found in mostly in red meat, poultry, as well as dairy items. Saturated fat is considered unhealthy because it increases total blood cholesterol levels and LDL cholesterol levels or the bad cholesterol, which results to the increased possibility of cardiovascular disease. This form of fat has also the potential to heighten your risk of Type 2 diabetes. Trans fat, on the other hand, is a form of fat that are naturally found in some foods in little quantities. However, most trans fats are created from oils through a food processing technique known as partial hydrogenation. The outcome, apparently, is partially hydrogenated trans fat, which can raise the LDL levels, while it reduces HDL levels or the good cholesterol. The ultimate result: greater risk of cardiovascular disease. Fats with great percentage of saturated fat or trans fat are solid at standard temperature. Usually, these are fats from beef, pork, and dairy. One is the monounsaturated fatty acids, which are a kind of fat found in an assortment of foods and oils. According to various researches, it can enhance blood cholesterol levels, which reduces the possibility of heart disease. Studies also demonstrate that this type of fatty acids has the potential to improve your insulin levels and blood sugar regulation. This is particularly useful when you’re suffering from Type 2 diabetes. Second is polyunsaturated fatty acids, which is a kind of fat that comes from plant-based foods and oils. Scientific proof illustrates that consumption of this dietary fat augments blood cholesterol levels, lowering the possibility of heart problems. Polyunsaturated fatty acids could also reduce the possibility of Type 2 diabetes. Lastly, there’s omega-3 fatty acids, which has been widely known to be heart-friendly. Omega-3 is found in some kinds of fatty fish and has been proven to lower the threat of coronary artery disease. Though there are plant sources for omega-3 fatty acids, too, it hasn’t been determined yet if these are as beneficial as the omega-3 fatty acids found in fish. Moreover, foods mostly composed of monounsaturated and polyunsaturated fat are liquid at normal temperature. This includes olive oil, safflower oil, peanut oil, and corn oil. Fish that has high levels of omega-3 fatty acids are salmon, tuna, trout, mackerel, sardines, and herring; while plants that have omega-3 fatty acids include flaxsee, oils, as well as nuts and other seeds. For the observance of general health, it’s best to avoid trans fat, consumption of saturated fat must be not more than 10% of calories daily, and that saturated fats should be substituted with monounsaturated and polyunsaturated fats. It is important to note that several foods have various types of fat and changing levels of every form. For instance, butter has unsaturated fats, nonetheless the greater percentage of the total fat is still saturated. Another example is that canola oil contains a great percentage of monounsaturated fat; however, it also contains fewer quantities of polyunsaturated and saturated fats. Just remember, don’t get too excited even with the healthy fats, because they’re still high in calories. Moderation is still important however healthy your consumption of dietary fat is. With this, you’ve distinguished the healthy kinds of fats from the bad ones. It’s now easier to make dietary changes either for the purpose of weight loss or just for being generally healthy.